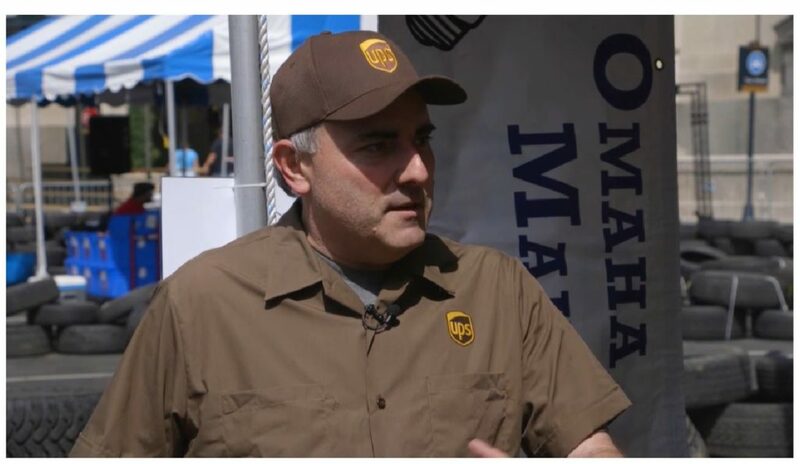 As part of OMG’s outing to Kansas City Maker Faire this year, our own Eric Kaplan was interviewed for a PBS show called Wicked Awesome Stuff. The relevant episode (S1E2) can be found here: https://www.kmos.org/wicked-awesome-stuff/ The OMG segment begins at 20:15. This past weekend,Â Dave and Eric and I met up with quite a few Omaha Maker Group members at the KC Maker Faire, and had a blast. Â We were initially going to have a booth to show off the awesome projects from around the Makery, but had far more people who wanted to go See the Faire instead of Work At the Faire. Â Somehow, this change was miscommunicated to the Powers that Be, and we ended up with a booth and sign anyhow (notably unmanned). WeÂ definitelyÂ got to see some neat stuff, including one of those optical-resin based 3D printers. ArcAttack was pretty awesome as well, if amazingly loud. Beyond that,Â Â it was an excellent a venue to share ideas… Looking through my pictures, I think Eric and I had identified at least 3 or 4 projects we want to try, and dozens of smaller ideas. Â I saw a few 3d printer innovations, a “bubble printer” (by ArchReactor), Â a portable whiteboard cart (For the Makery, at Hammerspace); We also a “waterflow table” (aka a Sluice Box) at Science City, where it pumps water down a trough, and you insert dividers to change the flow paths. Â It seems pretty trivial, but would be one of those “fun to mess with” sorts of things. I was a bit surprised that there wasn’t more merchandise (specifically Arduino kits and whatnot), although I’m not sure that this was a bad thing, in retrospect. Â Overall? Probably one of the more amazing Making experiences I’ve had. I got to see neat things, talk to interesting people and generally have a good time with friends, old and new. I’ll be back next year, and would seriouslyÂ considerÂ making the trek to one of the larger Faires on the coasts.